Before we start, lets get one thing straight...your typical 3D pen is not a toy. Do you allow your kid to play with a iron? No. So you should not buy your child a typical 3D pen. Fortunately there are many pens which do not use this hot extruder technology, and these are the 3D pens which I will be looking at in this review. So with that disclaimer out of the way, lets dive right in. 3D Pens are an amazing new invention which use the same technologies like 3D printing to offer you fun and unique creative tool. They're used by artists, craft hobbyists, and children to create all kinds of amazing three-dimensional objects. Also as for artistic creations, I like to use a 3D pen alongside my desktop 3D printer as it can be utilized as a hot glue gun to bond components together using the same thermoplastics which the 3D printer uses. The technique described above allows you to create seamless, invisible bonds having the same strength as the individual pieces. You can quickly fix broken or neglected 3D prints effortlessly. If you would like to learn more about how to use a 3D pen, then read my step-by-step guide which has a fun instructional video included. Which 3D printing pen is the best for my child? That is what I'm are going to answer in this review! There are well over 100 3D Pen models available at the moment so picking the best isn't an easy task, especially if you are looking for the best 3D pen for your kids! To assist you, I narrowed down the options available to my four favorites, based on my experiences using 3D Pens and user reviews and opinions. These pens are awesome and completely safe for your kids to use. In the table below I have listed the Pen and Plastic top 4 3D pens for children. The best 3D pen in test, with the best Christmas Bundle! How Do These 3D Pens Work? 3D pens let you to draw real-life three-dimensional objects. As you draw a line, rather than ink, a thin line of melted plastic comes out. Similar to 3D printing, you can build up layers on top of one another to form a three-dimensional drawing. The first is named FDM or Fused Deposition Modeling, which is the same procedure which most home 3D printers use. A thread or filament of ABS or PLA plastic is fed into a heated nozzle which melts it. This is the only sort of 3D pen where you can draw a line completely vertically, i.e., a real 3D pen. As you can see, the plastic sets almost the minute it comes from the pen. All other kinds of 3D pens need 5 to 10 minutes before the plastic sets strong, meaning 3D structures would bend and deflect. The next and latest type is the same technology as FDM but utilizes a different sort of plastic that melts at a much lower temperature. This gives you something near the quality and ease of use as conventional FDM but at completely child safe temperatures. The video below shows how this is done. The third kind is a cold process that makes it particularly appropriate for young kids to use. A liquid plastic is fed through the pen’s nozzle at the end of the pen which solidifies the liquid ink using UV light. The Creopop Cool 3D printing pen falls under this category.This is a similar procedure to SLA Resin 3D printers. The final type again employs a cool ink process, but the ink is treated in another UV chamber. This restricts you to making simpler designs as the ink stays in its liquid state until it enters this chamber. Appropriate 3D shapes are only possible if you utilize molds that are included with the pen. How are 3D Drawing Pens different to 3D printers? 3D pens are a lot more versatile than 3D printers. Having a 3D printer, you need to have thought about and designed your object before you begin making it. Using a 3D printer also requires some kind of CAD drawing skills. Typically children do not have the time or patience to learn how to use such complicated software tools. Using a 3D Printing Pen, however, you may simply begin drawing straight away. This immediacy makes 3D Pens ideal for younger kids, who may not have the patience to use a 3D Printer. It might also be regarded as a more artistic or creative hobby rather than 3D printing that's more analytical. Hopefully you now know enough about 3D pens to make an educated decision when it comes to buying a pen for your youngster. Before we dive into our review, lets take a look at the review criteria we used to grade these pens. Warranty: Does the manufacturer provide a guarantee? For each pen you will see an overall score out of 10. Click on "view all scoring categories" in the drop-down box to see how each pen fared for the categories listed above. And now , let’s take a look at Pen and Plastic’s list of the best 3D printing pens for children! 3D Simo is a Czech manufacturer of 3D pens, who burst on to the scene in early 2016 through a Kickstarter campaign. The Basic is their first 3D pen specifically designed for children. They are clearly looking to take a sizable chunk of the market giant, 3Doodler with this more affordable and simpler version of their premium 3D Simo Mini 2. Why did this pen make no.1 on our list? Well, the answer is simple. The Christmas deal they are currently offering includes pretty much everything a beginner would ever need to develop as a skilled 3D painter. "Wireless with rechargeable battery Suitable for kids of 8+ years"
As you could see from the video, this is not just a 3D printing pen, it comes with a number of attachments that you can use in order to make it multi-purpose. Kid friendly 3D pen: Designed to work with low melting, non-toxic plastic filaments. This pen is rated safe for kids over the age of 8. The 3D Simo Basic..of course! If you can afford the premium price tag, then you are in luck since the 3D Simo Basic is head and shoulders above the competition in this review. The amazing bundle, excellent battery and premium design makes this the best 3d pen for your kid. With the value you are currently getting from their Christmas Bundle, it would be a crime not to award this pen the top spot in our review. Hurry up and get it before the price goes back to the original amount. 3Doodler has been around since the start of the 3D pen craze and had one of the first 3D pens on the market. Now they have added a low-temperature, child-friendly alternative for their range with the Start. 3Doodler uses a distinctive biodegradable plastic printing material that melts at a far lower temperature than the more commonly used PLA plastic. This also means that the pen doesn’t get too hot to touch, which makes it perfectly safe for kids to use while retaining the advantages of precision and control you get with the FDM process. 3D Art made easy for kids"
CHILD-SAFE 3D PEN: Designed without hot components completely safe for children aged 8+. Pen plastic and nozzle can safely be touched with no burn risks. 3D ART MADE EASY FOR KIDS: Vinyl hardens rapidly allowing children to draw in the air with only one speed and one temperature. NO RISK PURCHASE: 360 times FREE replacement coverage and unrivaled 24-hour international customer service. BEST FOR STEM LEARNING: As a tactile learning toy, the 3Doodler Start inspires creativity, design, planning, construction and spatial comprehension. TOTAL 3D PEN KIT: Every box includes 3Doodler Start 3D Pen, 8 Mixed-color Packs of Eco-Plastic, 8 Particular Doodleblocks, Micro-USB Charger, Activity Guide + a great deal of creative potential! The 3Doodler Start is an excellent 3D drawing pen for children. I have found it to be very dependable and simple to use. The lack of a power cable and short filaments make it very simple for even young children to use without becoming frustrated. It came completely ready to go straight from the box; even the battery was fully charged! If you purchase the 3Doodler from Amazon, it comes in a smaller "e-commerce" box that's significantly easier to store away compared to the huge box that is available in retail shops. Meet the Scribbler V3, and as it's name may suggest, it's an updated version of this original Scribbler Pen. If you are in the market for an inexpensive 3D pen with loads of features, then the Scribbler V3 is an excellent option. This is the most recent version from Scribbler, and it performed amazingly well during our testing. This pen was also the lightest at the 3D printing pen review, making it very easy to draw with. Furthermore, if you're seeking Scribbler 3D pen filament, then you'll be happy to know that it works with both ABS and all kinds of PLA, but sadly not with Flexi or Nylon plastics. Scribbler V3 is an FDM 3D Pen which provides some excellent features while being aimed squarely at younger kids with a bright, fun look. This gives the user control over all details of the drawing expertise from temperature and feed settings to filament type choices. Whether you are a seasoned artist, novice crafter, or exited hobbyist, the Scribbler 3D Pen is wonderful for individuals of all ages. The ideal toy for boys or girls, and an excellent present for women and men who love tech or artsy toys. The package includes 3 LOOPS of PLA plastic filament, fume-free! This is much safer compared to the aluminum nozzle from different manufacturers; and automated shut-off after a few minutes of non-use to your security. Scribbler has taken a massive step forward with the Version 3 version. As you can see from our Scribbler 3D printing pen review, it is packed with features. It's simple to use, very versatile yet at a reasonable price. We did not hesitate to award this pen as the runner-up in this review. Note: This is still a hot-tip 3d pen which uses thermoplastics, therefore e recommend this pen for children over the age of 8. Last on the list is MYNT3D's offering. It is sold by an American manufacturer and is packed with features considering that it is a reasonably priced 3D drawing pen. This pen sports an ultra-thin design for easier handling, due to its ergonomic shape and smart design. Where the MYNT3D has a leg-up over the Doodler is it's beautiful OLED display helps you monitor the temperature. This pen also includes adjustable speed control allowing you to fill large areas quickly or slow it down to create a detailed masterpiece. This 3D pen is among the very competitive and reliable products available on the market. It's cheap but is packed with impressive features, and also a generous helping of sample plastics for you or your children's use. "Bright OLED temperature display USB / Powerbank powered"
The Mynt3D is an excellent 3D pen that's very very tough to fault. It has about all of the features you could ask for, is an amazing option of 3D Pen for older kids. I loved its ergonomic design and user-friendliness. It includes premium features like an OLED display and variable temperature control. 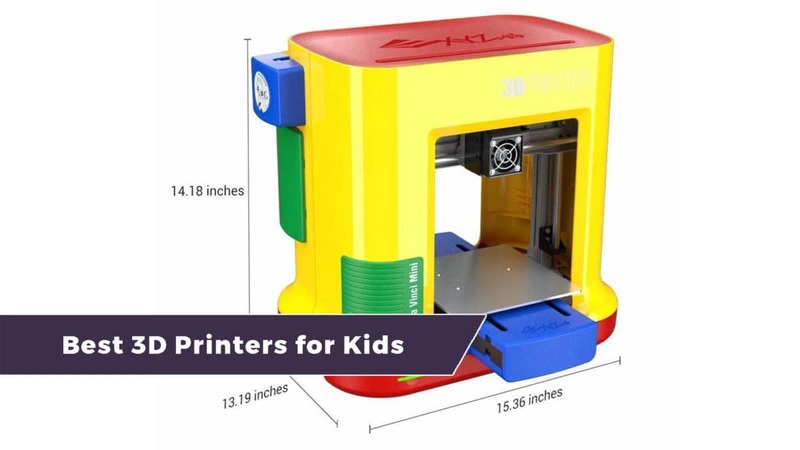 We do not recommend it for younger kids (under the age of 8) as it is still a FDM pen with a hot tip extruder. And now for something different. CreoPop is a venture-backed firm based in Singapore, and their product might alter the future of 3D Pens. The CreoPop 3D drawing pen makes this list because of the revolutionary capability of printing chilly ink that dries quickly when exposed to light. Pretty neat yes? Well, that is not all, the CreoPop 3D is also a cordless, like the Lixpen reviewed in our best 3d pens review. The advantage being that it is completely safe for children to use as a result of absence of a hot tip nozzle, and you have a great deal more flexibility and choices when you aren't confined by a cable and plug! "Prints with Cold Ink not Plastic! Child Friendly - No hot parts"
At the beginning of the 3D pen trend, 3D plastic pens with hot extruders were the only 3D pens available. In September 2015, the 3D Creation Maker was started, marking the first non-heated 3D pen that could compete with the established brands. Children will find the Creopop cool 3D pen much safer and easier to use than your standard hot nozzle pen. It's also cordless so making it great for kids who may want to do some outside 3D art. Earlier versions of this Creopop could only print on horizontal surfaces, since the ink would have a very long time to harden. This was a massive drawback as other plastic pens can draw freehand 3D shapes in the atmosphere. Creoprop solved this problem by since creating a pen which uses ink which hardens as rapidly as heated plastic does. What was their secret you may ask... Well, the ink used in the Creopop hardens to light exposure! In contrast to your normal 3D printing pen which uses thermoplastics, CreoPop's product utilizes cool ink. Let us take a look at this 3D pen's unique capabilities. No hot parts – no melting plastic and no unpleasant smell. This makes it safe for kids, pets and your furniture! A large selection of cool inks in various colors is available – glow-in-the-dark ink, elastic ink, body paint ink, temperature sensitive ink (changes color with heat) and even magnetic ink is available. The Creopop offers a different take by allowing you to print with inks that can create 3D objects. This cold 3D drawing technology is especially well suited for kids. If you want to ensure the safety of your young ones while they get creative, we wholeheartedly recommend the Creopop Cool 3D pen! Well there you have it, the best 3D pens for your kids reviewed by yours truly. To summarize, we recommend the 3D Simo Basic, or if your budget is tight, the 3Doodler Start. For older kids, the Mynt3D or the Scribbler is a great buy, but then again I rather consider looking at the Lixpen or 3D Simo Mini 2, see our top 10 3D pen review for more info on these pens. Still undecided? Then head to our 3D pen landing page, which has every article and review we have ever written nearly summarized on one page. If you have any thoughts or suggestions, leave us a comment below and remember to share this post with your friends by clicking one of the handy social media sharing buttons.